We are a little late this week but it was worth it. 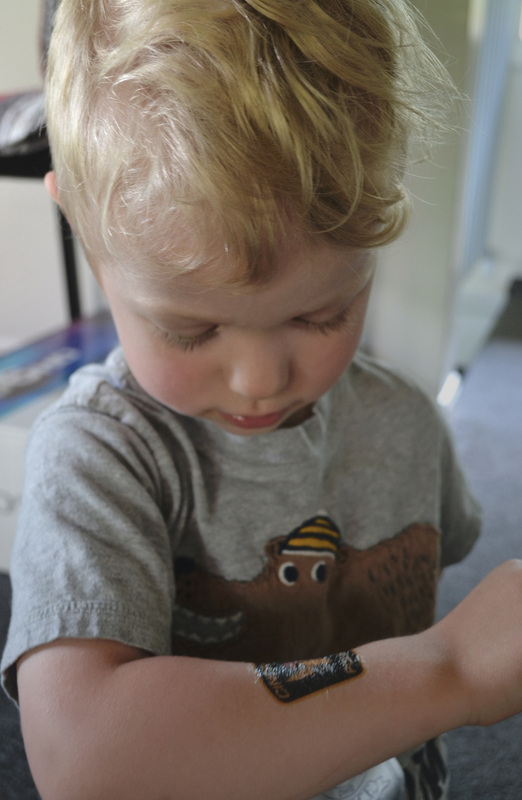 Soren was so proud of his tattoo. We dropped Dad off for work just in time to see the police parade and snag a tattoo. He had me put it on 'where mom's is' as soon as we got home!